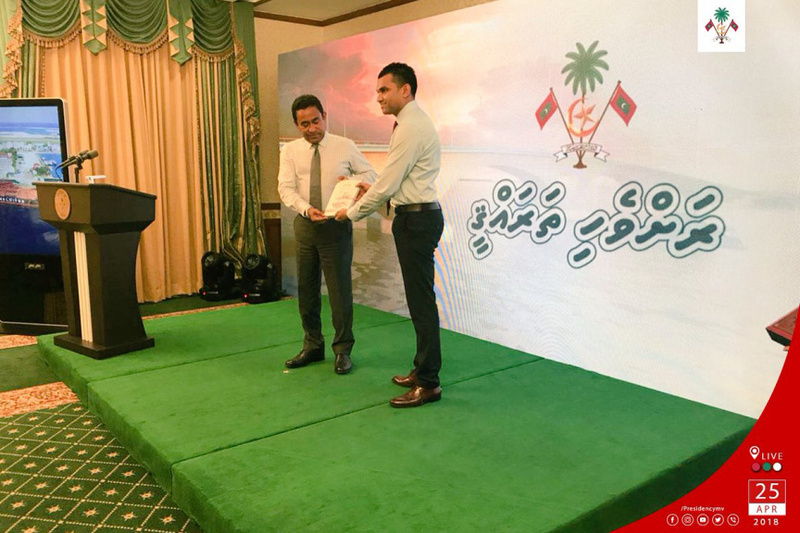 President Abdulla Yameen Abdul Gayoom has launched a book titled Ravvehi Tharaqqee which chronicles the national developmental projects undertaken during his administration. 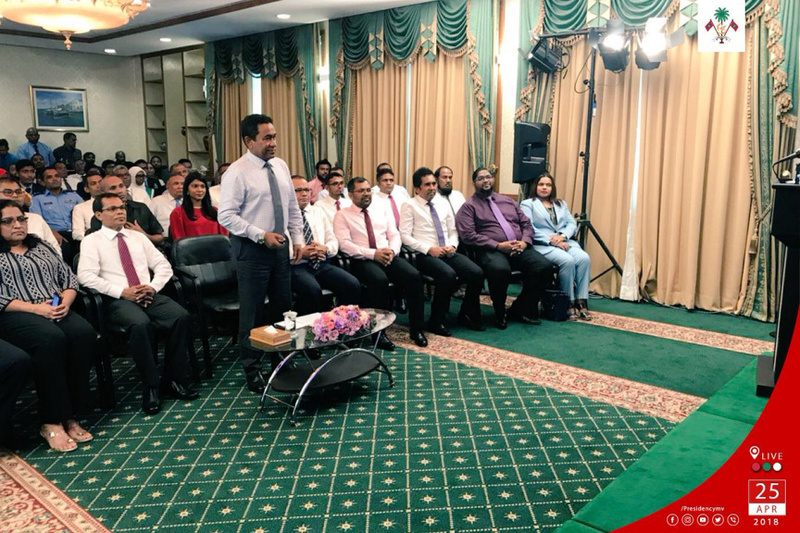 The book was released by President Yameen in a function held at the President’s Office this Wednesday morning. The book Ravvehi Tharaqqee was compiled by the Communications Department at President’s Office based on information collected from government ministries, State companies and city, island and atoll councils. The book chronicles completed and ongoing economic and infrastructure development projects in Maldives from November, 2014 to March, 2018. The book plays special focus on 21 major development projects. It chronicles the development to Male’ City and the development projects completed and currently ongoing in the atolls. It also describes the economic vision of the current administration. President’s Office reports the book is primarily targeted at researchers and university students, to provide them in-depth information on the advancement during the current administration’s four years. In addition to the development projects during President Yameen’s administration, book also contains information on projects undertaken in Maldives from 2009 to 2013.